This web site was established to assist in the research of the Imhoff and Pryor surnames as well as some 305 surnames that are associated to them (see left column for the most prevalent surnames on this site). The primary function of the site is to house information related to these families as well as associated documents and photos. 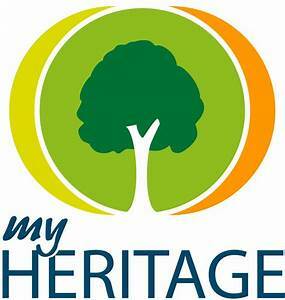 While I also maintain sites on some of the genealogical research sites (MyHeritage and Ancestry) for research, this site is the primary location for all of the information that I have collected or received via communication with my relatives. Much of the information contained on this site was research that I inherited from my great-great uncle, Frederick Ferdinand Imhoff (Father Maurice) and, on the Pryor side, Joseph Pryor, my mother’s brother. In the six years that I have had this site I have been fortunate to connect with many relatives and I am always excited when someone reaches out to share information, documents or photos. In the above menu under genealogy, you will note my Surnames (Imhoff and Pryor). These are Ancestor charts based on my parents but represent only a fraction of the 1300 or so individuals I have information for. You can use the Search Database menu item if you are looking for a particular relative not shown on my default ancestry charts. If you have any information at all related to any of the families or individuals listed within the site, please reach out to me – I am always interested in new information that can help in this reaearch!